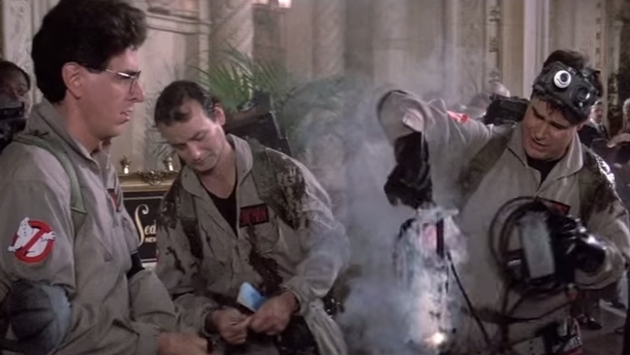 Ghostbusters, originally released on June 8, 1984 gets new life thanks to a nationwide re-release of the beloved film. Egon Spengler will once again take a look at Tobin’s Spirit Guide, Peter Venkman will bring the hilarity and Dana Barrett will search for the Keymaster thanks to the movie hitting theaters once again to celebrate its 30th anniversary. If heading out to the theater isn’t quite adventurous enough, you can visit some of the iconic locations featured in the 1984 comedy. According to the movie, the food at Tavern on the Green is so good you wouldn’t dare budge despite a screaming Rick Moranis. Test that sentiment at the luxurious restaurant that sits perfectly in New York’s Central Park. While seven minutes, that is hardly a satisfying tour for ambitious travelers. Thankfully, there is a tour company willing to whisk you away to the familiar locations. On Location Tours offers several tours that incorporate some of the buildings that once served as a backdrop to four guys who really just wanted to put some ghosts into their high voltage laser containment system. Men can dream, can’t they? Or perhaps you aren’t into giggles so much as you crave some shivers. Thanks to Hollywood’s horror push and reality TV, there is a bounty of haunted tours one can take across the country. These tours are becoming so prevalent that Forbes published an article on haunts around the country in 2011. With the movie once again coming to theaters, we expect nothing short of bedlam from crowds rushing to see it. In fact, the forecast calls for dogs and cats living together. You know, general mass hysteria.